This time of year is one of transition…summer to fall, warm temperatures to cool, shedding layers to adding them (and often, shedding them again mid-day…adding them again in the evening…it’s almost exhausting just thinking about all of the wardrobe changes that could go on in a 24-hour period!). This is the time of year when I start hearing more complaints from clients about illness, general fatigue, and lack of motivation. 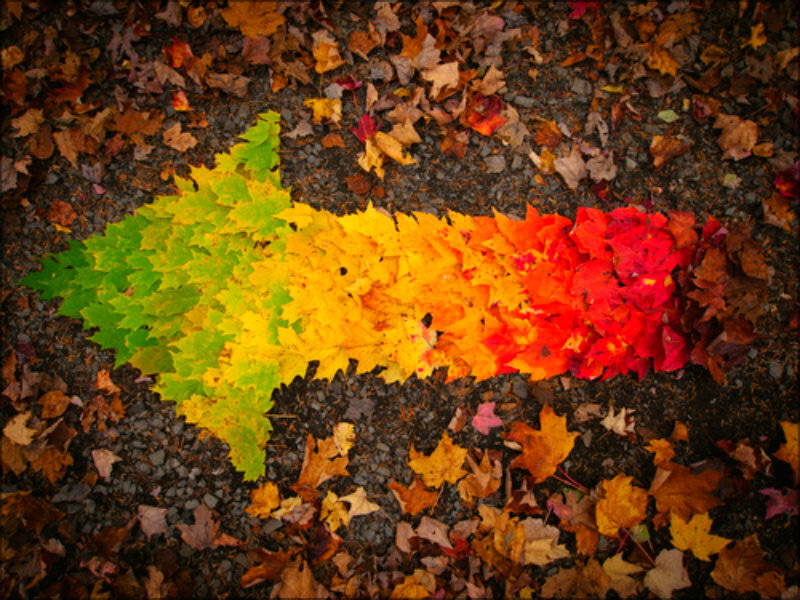 The same is true during times of seasonal transition…particularly summer to fall and winter to spring. Transitions are times when we need to challenge ourselves to listen to our bodies and minds…and honor what we hear. Our bodies have innate wisdom, and much of that wisdom comes from characteristics of the current season, your mental state, and other factors. This Way To Better Health! Ayurveda, from the Sanskrit Ayur, meaning “life”, and Veda, meaning “knowledge”, roughly translates as “wisdom of life”, or “science of life”. It is generally regarded as a “sister science” of Yoga, and has roots in medicine, psychology, philosophy, nutrition, genetics, and even astronomy and astrology. Much like Yoga, Ayurveda is thought to be about 5000 years old, and its teachings were originally passed on orally. Ayurveda takes into account the whole person (mind-body-spirit) versus a typical “westernized” approach that tends to compartmentalize (You feel sick? See your physician. You need to talk about what you’re feeling and thinking? See your therapist. You need some spiritual guidance? See your pastor). 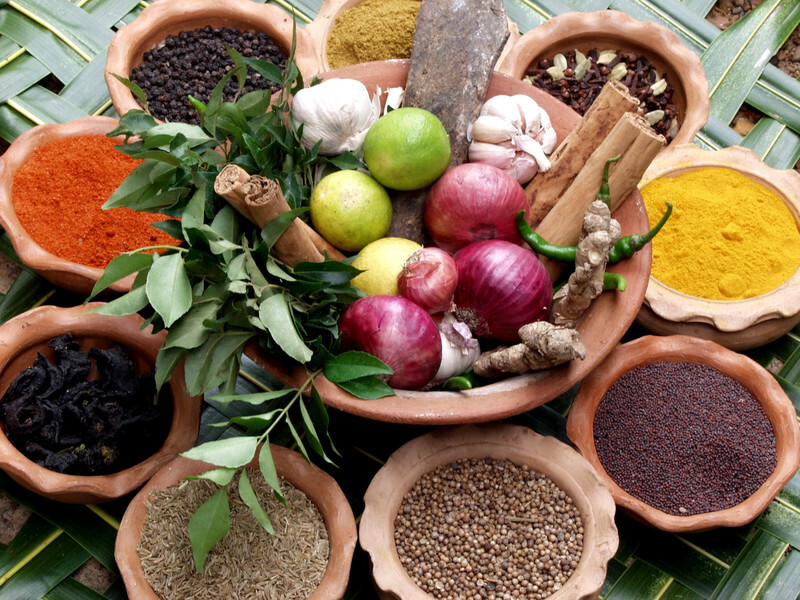 According to Ayurvedic philosophy, healing is nature-based, and works with the seasons. Nature is made up of five elements: Earth, Water, Fire, Air, and Space. When combined with prana (life force), they combine to form three doshas (bio-energies, also called constitutions). 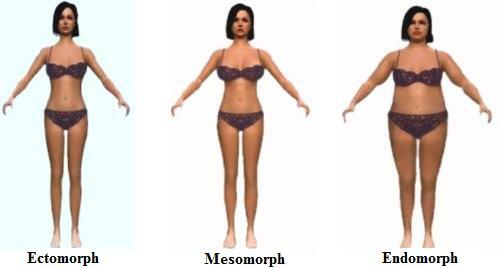 These doshas roughly translate to the western idea of body types or somatotypes: ectomorph (Vata), mesomorph (Kapha), and endomorph (Pitta). Ayurveda goes beyond body typing, however, to include mental states as well (because they both affect the other). Generally, we all have one or two dominant doshas. When our doshas are in balance, we feel strong, organs function at their peak, skin appears healthy and glowing, and emotionally we feel a sense of well-being and harmony. Out of balance, any or all of our systems can be affected in many detrimental ways. An Ayurvedic practitioner will take into account such things as what your mental state was prior to the condition / illness for which you are being treated, as well as your general mental / emotional tendencies. There are online tools for “finding your dosha”, based on your personal perceptions. Of course, I recommend anyone with a serious interest in Ayurveda seek out a practitioner who can help determine your dominant dosha. Because of the diagnosis involved, what you find to be true from an online quiz may well be different when taking other factors into consideration. Eat slowly, without distraction and while seated. Eat fresh foods, and organic whenever possible. Eat with the seasons: warm, heating foods in cool seasons, and cooling foods in warmer months. Whatever is fresh and local is most likely what your body is needing most at that time. Avoid processed, stale, and preservative-laden foods. Eat primarily cooked foods (as they are more easily digested than raw foods). Agni (digestive “fire”) is at its peak mid-day, so lunch should be your largest meal; avoid late-night eating, when agni is at its weakest. Stop eating BEFORE you feel full; do not overeat. Avoid drinking lots of water (or other fluids) immediately following a meal, as this disrupts the natural digestive process. Drink small amounts of warm (or room temperature, depending on your dosha) water with meals. If possible, include all six tastes (sweet, sour, salty, pungent, bitter, and astringent) in each meal, for optimum balance. At a bare minimum, try to incorporate all six tastes into your meals throughout each day. Avoid alcohol, which is considered to take away from the nutritional content of the foods we eat. To learn more about Ayurveda and eating for your dosha, connect with me! CLICK HERE to schedule your complementary breakthrough session.